Published: Aug. 31, 2017 at 11:08 a.m. Updated: Aug. 31, 2017 at 11:25 a.m. It was an easy call for those making Labor Day Weekend travel arrangements for NFL general managers: Atlanta or bust. Sure, they want to see the opening of the new Mercedes-Benz Stadium. But the rosters of the two teams battling Saturday night, Alabama and Florida State, are the real draw for GMs. At least a dozen, and as many as 18, players from these two teams might be drafted next April. I'll be checking out every play, as well, focusing most on the 12 players listed below as they try to assert themselves as the top players in college football -- and as future early-round NFL draft picks. The development of sophomore quarterback Jalen Hurts and the Tide's new offensive scheme will determine whether Ridley gets a chance to make plays against the Seminoles. He should see the ball 8-10 times every game this year so he can show off his ability to make defenders miss after the catch as well as high-point passes over defenders downfield. However, if Ridley matches up against FSU superstar corner Tarvarus McFadden, it might be more difficult to make those sort of plays. A big game against FSU would show scouts he's worthy of being considered an elite prospect. McFadden made All-American squads in 2016 after tying for the national lead with eight interceptions. But turnovers can be a fickle thing -- will quarterbacks go the other way to take his superior ball skills out of the equation? And in this game, will Alabama rely on its rushing attack and only take an occasional shot downfield? McFadden might end up showing more of his willingness to play the run and eat up quick screens outside than his ability to high-point passes if Alabama employs a more conservative game plan. Evans is "next up" as a playmaking Will linebacker in Nick Saban's defense. We know he's a downhill player -- just ask any blocker or ball carrier he's met in the hole. But scouts want to know if Evans is able to flatten down the line as a pass rusher to chase down an athlete like FSU quarterback Deondre Francois, and if he's quick-footed enough to handle coverage responsibilities. With Jonathan Allen now playing on Sundays, Hand and Payne are taking on the responsibility of leading the Tide's stout defensive line. Payne will do his job holding up and shedding blocks inside, and scouts will be looking for that effort in the fourth quarter as much as the first. It will be interesting to see if Hand, at 288 pounds, is able to pressure Francois consistently, as well as use his hands to shed Florida State's new left tackle, Derrick Kelly, to make stops in the run game. Kelly could make a name for himself as Roderick Johnson's replacement if he's able to handle Hand one-on-one. Payne and Hand will have to control Seminole super-frosh tailback Cam Akers, who is expected to break onto the national scene Saturday night. Nnadi is considered one of the top senior defenders in the country. He'll earn all of the accolades (and set himself up for first-round consideration next April) if he's able to consistently make plays against the Tide's physical interior offensive line using his active hands and feet. Holding his ground against double-teams and exploding through gaps when given the chance will slow down the Tide's running game, and make him stand tall with NFL scouts. 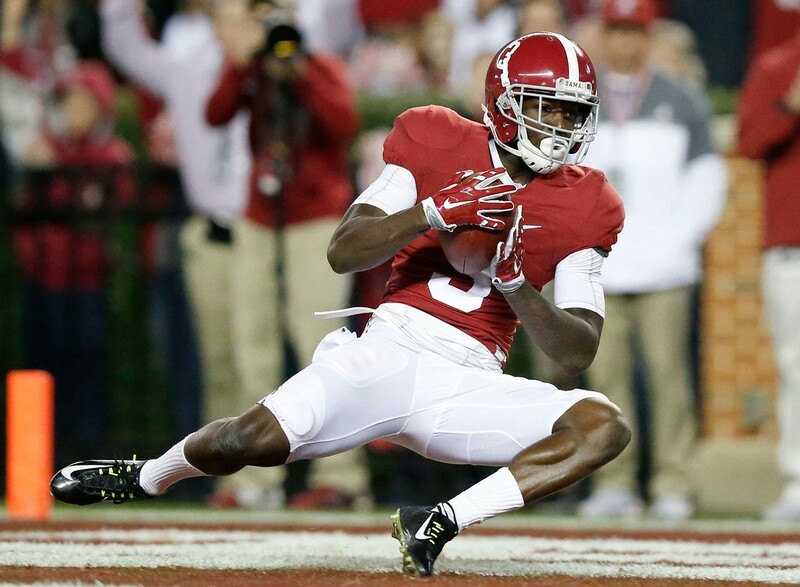 Fitzpatrick is listed on Alabama's depth chart as a strong safety, but he could play anywhere in the secondary. I suspect he'll show his versatility in this marquee contest, supporting vs. the run, matching up with slot receivers, and dropping into intermediate/deep zones. He'll be around the ball enough for NFL teams to know he's one to watch throughout the year -- and it won't be a surprise if he makes a big play to turn the Tide in this game. Hurts performed extremely well as a true freshman under Lane Kiffin in 2016, showing toughness and poise beyond his years. Can new offensive coordinator Brian Daboll help Hurts become more accurate and comfortable in the pocket so he can find junior star receiver Calvin Ridley and seniors Robert Foster and Cam Sims more frequently? Francois' story is similar to Hurts', in that NFL teams are looking for progress from him as a pocket passer in his redshirt sophomore season. He proved his mettle, avoiding pressure while working with a young group of receivers and behind an inexperienced offensive line last year. Now scouts hope to see him stand in the pocket against pressure and deliver passes accurately -- in addition to making plays with his feet, as he's wont to do. Becoming a true dual threat will make Francois an intriguing NFL prospect -- and the Seminoles the favorite in the ACC whether or not they win this game. The Seminoles' front seven is stacked with talent, as Derrick Nnadi, Demarcus Christmas and three senior linebackers (Matthew Thomas, Jacob Pugh, and Ro'Derrick Hoskins) are all future pros. Sweat has the most to prove among this group, though, as the former top-10 overall recruit has struggled with injury and/or inconsistency since his senior year of high school. He finished the 2016 season strong, however, racking up seven sacks in eight weeks, but beating Alabama left tackle Jonah Williams is no easy task. If Sweat can use his length and speed to disrupt plays against a top young talent like Williams, scouts will be impressed. Scouts' eyes were opened by the power and speed Scarbrough showed at the end of last season. He was dominant in the College Football Playoff for a game and a half until an injury forced him out of the title game. Can he pick up where he left of to start off a Heisman Trophy run, a la former Tide back Derrick Henry? Or will sophomore Josh Jacobs instead be the man of the hour? Or the versatile Damien Harris? It should be interesting to see how offensive coordinator Brian Daboll uses his embarrassment of riches at tailback. The biggest question in this game is: How does James look after being out for most of 2016? Scouts are anxious to see how his knee has progressed. They know he'll tackle well in the run game, using his length and tenacity, even with the Scarbrough/Harris/Jacobs trio coming his way. His movement in coverage, however, will be a real measure of his health, and of whether he will be a Jamal Adams-type top-tier prospect.